Niantic will never give everyone ten Sinnoh Stones for free again. I don’t see that happening. 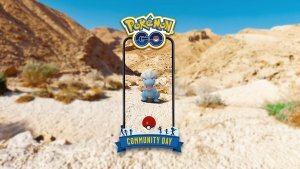 I don’t think it’ll happen but would love to see an unown community day. They could release all 26 letters then give shiny rewards - of the question and exclamation - if you collected half of, or all of the set. Multiple sets could lead to other shiny variants.